Mel Greaves has a simple goal in life. He is trying to create a yoghurt-like drink that would stop children from developing leukaemia. The idea might seem eccentric; cancers are not usually defeated so simply. 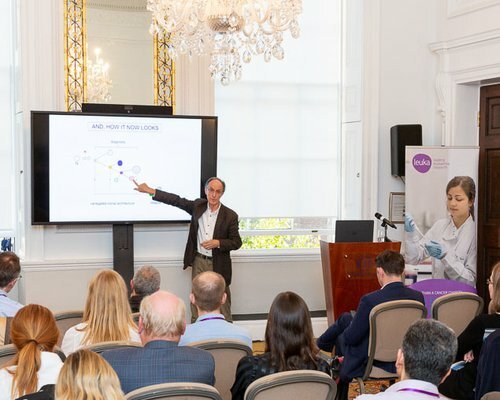 However, Professor Greaves is confident and, given his experience in the field, his ideas are being taken seriously by other cancer researchers. 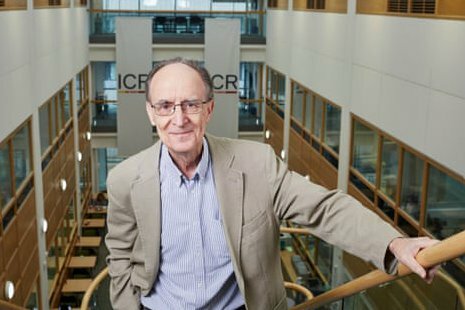 Based at the Institute of Cancer Research in London, Greaves has been studying childhood leukaemia for three decades. On Friday, it was announced that he had received a knighthood in the New Year honours list for the research he has carried out in the field. In the 1950s, common acute lymphoblastic leukaemia – which affects one in 2,000 children in the UK – was lethal. Today 90% of cases are cured, although treatment is toxic, and there can be long-term side effects. In addition, for the past few decades, scientists have noticed that numbers of cases have actually been increasing in the UK and Europe at a steady rate of around 1% a year. Acute lymphoblastic leukaemia is caused by a sequence of biological events. The initial trigger is a genetic mutation that occurs in about one in 20 children. “That mutation is caused by some kind of accident in the womb. It is not inherited, but leaves a child at risk of getting leukaemia in later life,” adds Greaves. And this issue is becoming an increasingly worrying problem. Parents, for laudable reasons, are raising children in homes where antiseptic wipes, antibacterial soaps and disinfected floorwashes are the norm. Dirt is banished for the good of the household. In addition, there is less breast feeding of infants and a tendency for them to have fewer social contacts with other children. Both trends reduce babies’ contact with germs. This has benefits – but also comes with side effects. Because young children are not being exposed to bugs and infections as they once were, their immune systems are not being properly primed. As this inflammation progresses, chemicals called cytokines are released into the blood and these can trigger a second mutation that results in leukaemia in children carrying the first mutation. In other words, a susceptible child suffers chronic inflammation that is linked to modern super-clean homes and this inflammation changes his or her susceptibility to leukaemia so that it is transformed into the full-blown condition. From this perspective, the disease has nothing to with power lines or nuclear fuel reprocessing stations, as has been suggested in the past, but is caused by a double whammy of interacting prenatal and environmental events, as Greaves outlined in the journal Nature Reviews Cancer earlier this year. To do this, Greaves and his team have started working on the bacteria, viruses and other microbes that live in the human gut. These help us digest our food but they also give an indication of the bugs we have been exposed to in life. For example, people in developed countries tend to have far fewer bacterial species in their guts, it has been found – and that is because they have been exposed to fewer species of microbes in the early stages of their lives, a reflection of those “cleaner” lives they are now living. To do this, Greaves is now experimenting on mice to find out which bugs are best at stimulating rodent immune systems. The aim would then be to follow up with trials on humans in two or three years. “The aim is to find six or maybe 10 species of microbes that are best able to restore a child’s microbiome to a healthy level. This cocktail of microbes would be given, not as a pill, but perhaps as yoghurt-like drink to very young children. “And it would not just help prevent them getting childhood leukaemia. Cases of conditions such as type 1 diabetes and allergies are also rising in the west and have also been linked to our failure to expose babies to bacteria to prime children’s immune systems. So such a drink would help cut numbers of cases of these conditions as well.